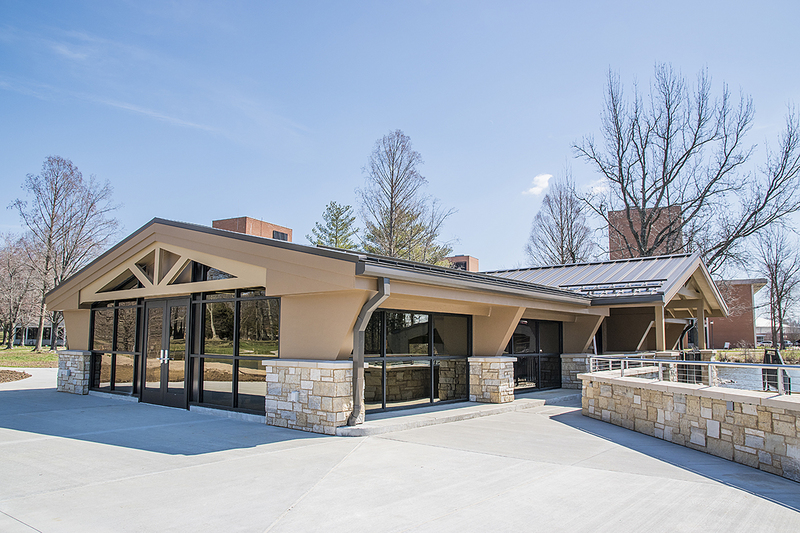 Carbondale, IL – Southern Illinois University Carbondale will unveil an impressive renovation of the Campus Lake boathouse on April 28. 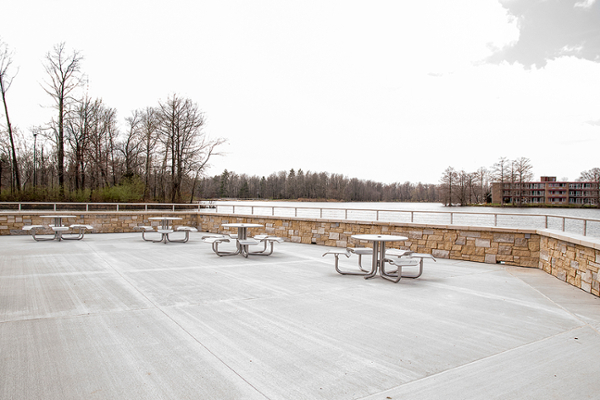 Alumnus Ralph Becker contributed $1 million to renovate the popular boathouse, a focal point of Campus Lake for more than six decades. 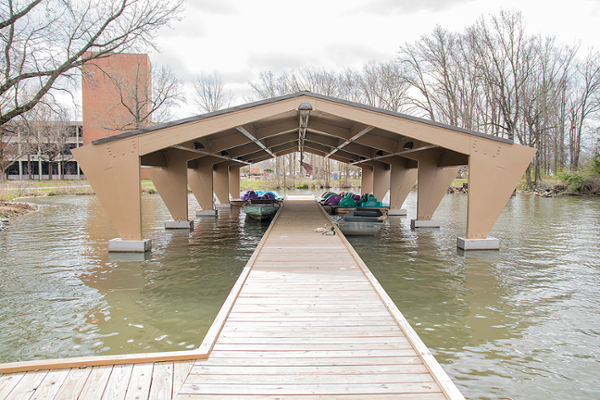 Construction workers have put the finishing touches on the project just in time for this year’s 45th annual Cardboard Boat Regatta, which is returning to Campus Lake this year. The structure sits at the starting point for the race. 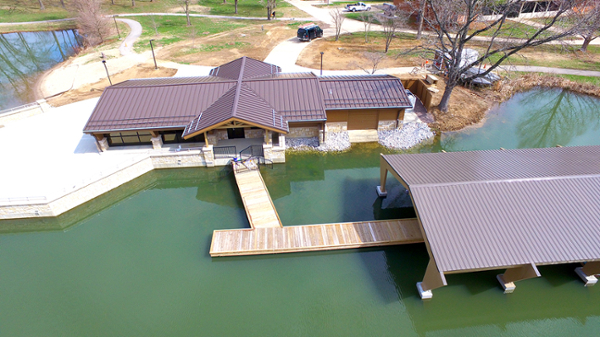 The SIU Foundation will host a dedication celebration of the boathouse, located at 1493 Douglas Drive on campus, at 10:30 a.m. Saturday, April 28. The 45th Annual Great Cardboard Boat Regatta will be held at 1:00 pm that day. 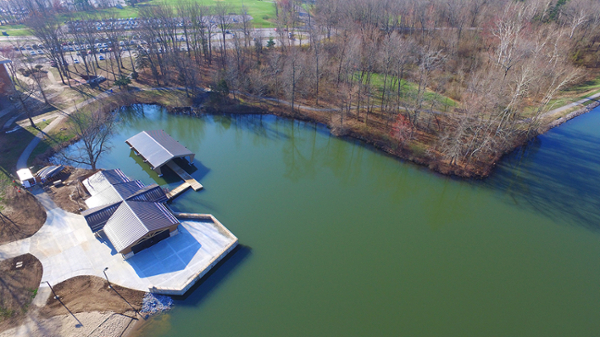 “This boathouse holds many sentimental memories for our alumni, and I am pleased to say that it will create many more lasting memories for our students and those to come,” said Jim Salmo, CEO of the SIU Foundation and vice chancellor for development and alumni relations. Becker, who will attend the dedication with his family, was one of the pioneers of the university’s radio-television program. He is a 1955 SIU graduate and an Alumni Achievement Award recipient. Becker and his wife, Jane, live in Winston-Salem, North Carolina, and have been generous supporters of SIU. Becker’s philosophy is that once a goal has been achieved, one should work hard and set additional goals. 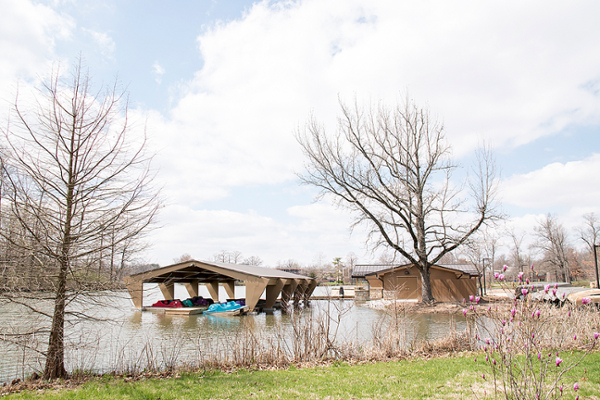 Generations of SIU students, staff and community members have flocked to the boat house to enjoy a variety of outdoor experiences. One of the most popular was moonlight canoeing. Each month, when the moon was full, students and community members enjoyed a free canoe or paddleboat ride across the lake. 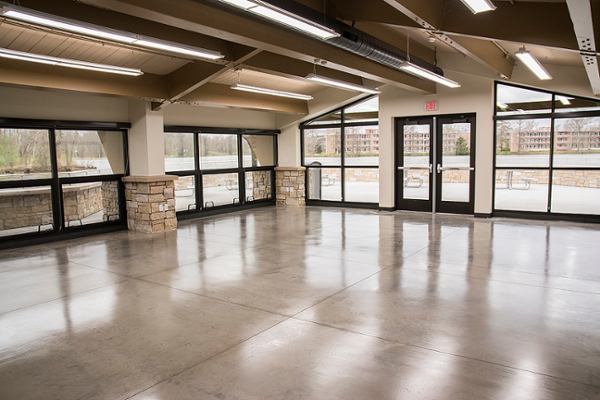 The boathouse has also been home to weddings, receptions and countless celebrations. The renovated facility will include event space for a variety of purposes, including classroom and social activities. Many other events such as the Great Cardboard Boat Regatta were hosted at the boat house for over 40 years. Due to the draining and cleaning of the lake, the regatta was temporarily moved to a different location. Thanks to the restoration of the lake and the added benefit of a renovated boat house, the race is back where it all began.